Squash has been in Peter’s blood since he was a young boy and it has led to a lifetime involvement and commitment to the squash community, (provincially, nationally and internationally). He has many doubles titles on his resume, but his greatest contributions have been on off the court. 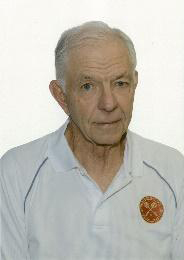 He joined the Squash Ontario Board of Directors is 1978, serving 3 years as Vice President and then President. He was instrumental in crafting the legislation around mandatory eye protection for juniors…a regulation later adopted by Squash Canada and the World Squash Federation. He moved on to become a director and Vice President of Squash Canada from 1983 through 1985 and represented Canada at World Squash Federations in both Brisbane and London. Along the way, he chaired the national ranking committee and chaired many national championships, most notably the Lapham/Grant. It was here he made another significant contribution in establishing and nurturing a strong relationship between Squash Canada and US Squash. For the last 25 years, he has continued to support squash through coaching at Upper Canada College Teams which have won numerous championships including the past four Independent School Athletic Association Varsity Titles. And in 2019, the UCC team won its 5th consecutive CISAA Championship.